I think you should really force a Play store release. The signs are good today. And save the name “DeltaChat” is also a reason to start a release in play store. I also would start it as a beta first but still wait a few days to see if there are any issues with the current release. In general I would like to recommend for further releases to first get the versions updated on F-Droid / Desktop (I see that it was just released), update the translations for the most important languages and only then announce it via official blog post to avoid frustration to the users not seeing the advertised update yet on their desired channels. the problem is that f-droid can take a few hours or two weeks, it’s hard to know. It’s also what is making us think to rather go for publishing on play store rather sooner than later. and i guess an app title of “DeltaChat Beta” makes sense for playstore. 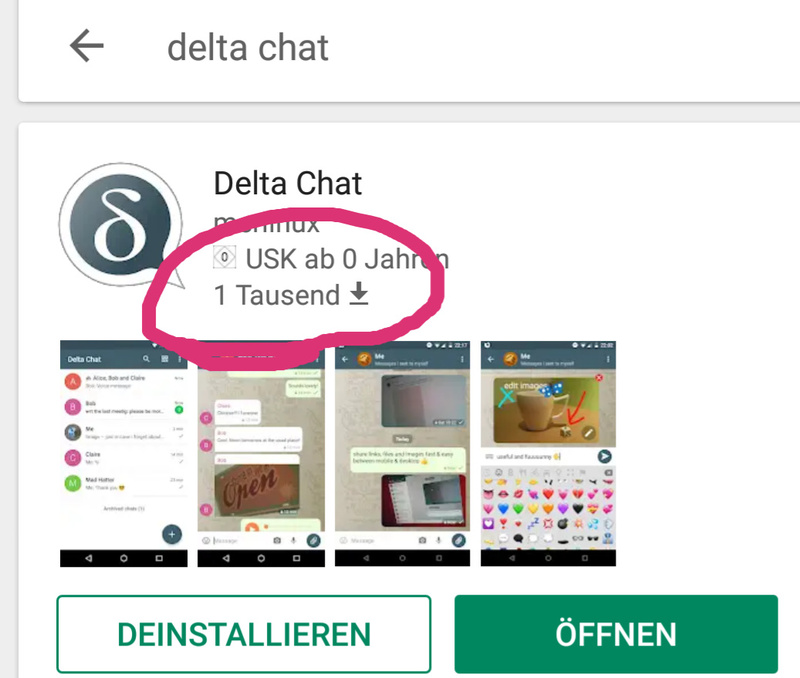 and i guess an app title of “DeltaChat Beta” makes sense for playstore. There is no need to call it Beta. If you release it as Beta it will automatically marked as Beta. And users who like to test it have to join the Beta chanel. Maybe it’s a stupid question. But I wondering what are you waiting for. And I believe it’s stable enough for a Beta releas in Google Play store. BTW. You believe it’s stable enough for f-droid. +500 downloads in Google Play 11 days after first release. We only need 999999000 downloads more to catch wWhatsApp. this was probably related to a competitor app similar to Delta Chat that stop working for people outside Cuba.